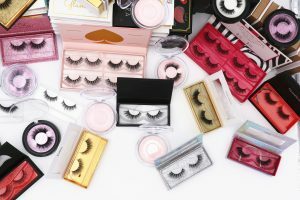 Qingdao Misen Lashes Co., Ltd is a provider combining the material Faux Mink Lashes supply, R & D, production, sales and services for false eyelashes and faux mink lash extensions products. Founded in 2000, it employs 230 persons. The eyelash plant is composed of 60 employees, including eight managers, 12 professional technicians (with more than 10 years of working experience) and 40 general workers. The Foreign Trade Department is composed 23 persons, and half of them have more than five years of experience related to the industry silk lashes. We have been producing eyelash products for 12 years. In 2017, we have improved the production technology for Eyelash Extensions and researched and developed many new products, such as double-layer eyelashes, glue-free eyelashes, magnetic eyelashes, and LED eyelashes. Our 3d eyelashes and Faux Mink Lashes, The raw materials mainly include Silk protein and mink hairs. Such Silk are top-grade PBT imported from South Korea, and the mink hairs are first-class pure mink hairs from Siberian minks. The glues are imported from South Korea and Japan. The Faux Mink Lashes eyelash extensions are mainly exported to Europe, USA and Japan. The 3D mink hairs are mainly sold to the USA, Europe and Middle East. And the major market for our magnetic eyelashes is the USA. The exports of our eyelash products reached USD 2.2 million in 2017, accounting for 25% of the total sales from eyelash products in the same year. 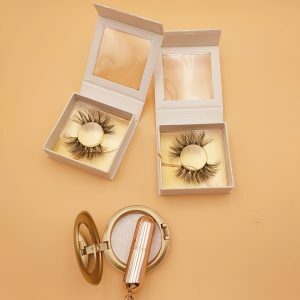 Qingdao Misen Faux Mink Lashes Co., Ltd will be an ideal and perfect choice for you if are seeking an outstanding supplier of faux mink eyelash extensions and beauty products to save costs and time. All customers are welcome to visit our factory and have negotiations. Faux mink lash extensions: I am sure you can guess by now that the Mink lashes are going to be a bit higher in terms of price point. The average cost for a pair of mink lashes is around US$2,US$4 /per pair, and can be found at makeup/beauty specialty stores, department stores, and of course, on our website! It’s a higher price point as it’s a more premium product, however it can be seen as an investment, as you’ll be able to get multiple wears out of each pair. 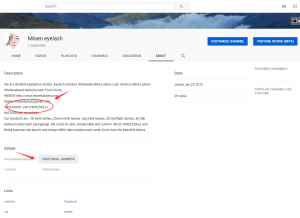 How Can You Find 25mm Mink Strip Lashes Customers On Youtube? As the world’s second largest search engine, YouTube has a large international share of traffic and users. Especially in the wake of the rise of short video platforms in recent years, most of the potential 3D eyelash customer traffic has reached the video platform. I have written an article on Youtube marketing before: “This is the Youtube marketing you have to watch! 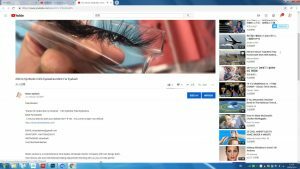 (on), in addition to the YouTube marketing series, we also wrote how to find a customer series: “Google finds false eyelashes customers Daquan” “How Facebook finds false eyelashes customers” “Linkedln how to find false eyelashes customers” “WhatsApp find false eyelashes customers Daquan “, interested readers can go and see. Later I will fully analyze how to find customers in Amazon ins. This article, Misen lashes, tells me how to find fake eyelashes on Youtube. 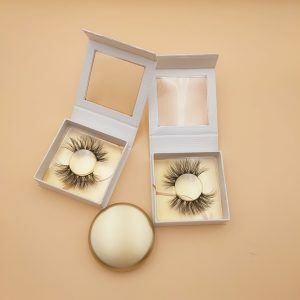 For example, We are 3D Mink Eyelashes Vendor and Manufacturer From China, Our products are , 3D Mink lashes, 25mm mink lashes , big mink lashes , 3D Synthetic lashes, 3D Silk lashes, Custom lash packagings. We could do oem, private label and custom We do WHOLESALE and Retail business.We launch and design NEW styles lashes every week.Don’t miss the beautiful lashes. Lord, depending on the customer’s condition, or the target customer of the nature of the product. 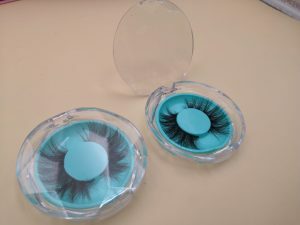 We can get, our products are mainly based on false eyelashes. Of course, there may be other industries, but what are the other industries, and they often know what to name. For example, false eyelashes are “3d mink lashes”. 1. We searched for “3d mink lashes” on the YouTube site. 2. In the above search results, we can see a lot of Eyelash Vendors, then we click on the first video. 4. Click on ABOUT and get Eyelash Vendors contact details below. 1. We searched for “Eyelash Vendorsg” on the YouTube site. 4. If not, you can copy the name of the person and check the name on Google+ or Facebook. Find the person with the same avatar. 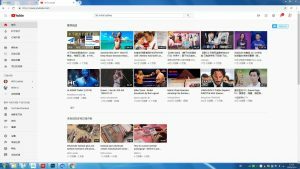 Youtube has developed two methods, if you want to promote your own products, you can do the SEO ranking in your product video YouTube station. If it is a retail product, and want to push the brand, it is recommended to find industry reds on YouTube to market their own false eyelash products. 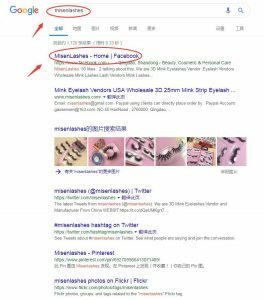 To find out more about the platforms and methods for mining customers, follow our methods to find our Misen lashes: We are a fake eyelash supplier from China, dedicated to making our customers’ false eyelash business bigger and bigger. 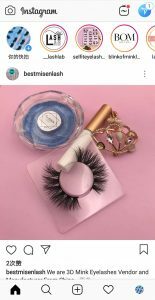 Ins is a “free” tool to help you sell fake eyelash products. 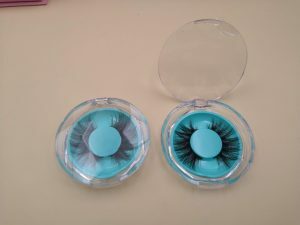 It can increase the number of fake eyelashes shop views, and thus increase the order quantity of false eyelash products. Next, let’s take a look at how to use ins to let buyers know about your false eyelashes? First, create an Ins account, fake eyelash shop name is your ins user name. Your profile should be clear and tell others who you are and what you do. Then remember to attach a link to the fake eyelash shop. 5. Take the process of making your fake eyelashes and let others know the details. 8. Then you can take a photo of yourself and let the fake eyelashes buyers know about you. Third, you can count the data every week to see what time period ins online users, user comments and “likes”, how popular your photos are. You can also monitor this data with a third-party app. Fourth, how to use the label? 9. You can find those popular tags in the explore feed. Popular tags are generally related to what happened recently or on the day, such as #bestfriendsday, #donutday, etc. 10. You can mix and match the meaning of the generic and specific labels, so that the scope of coverage is wide. Such as #clothing and #t-shirts. 5. 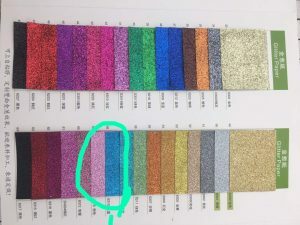 How to find false eyelash labels? Go ahead and find some labels that are relevant to your fake eyelashes. For example, if you are selling fake eyelashes, go to #Jminklashes. Then you will see “top posts”, the more popular fake eyelash tags. If you are related to your product, learn from it and remember to take more notes. Sixth, strive to improve their activity in the ins. Join some communities and make more friends. 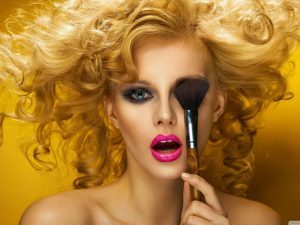 It is best for users in this community to have the same hobbies as you, or to sell similar fake eyelashes, so that there is a topic to talk about, and it can also inspire your creation and sales. Participate in some hot topics, recommend friends from time to time, like + comments. Seven, you can tell the fans on the ins that the store is doing special activities, and strive to let their friends also participate, this increases the participation of false eyelash users, so that false eyelash products are known by more people. 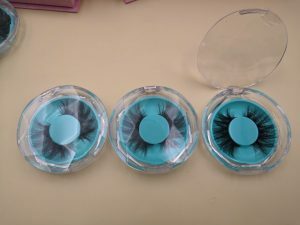 How to trim 25mm siberian mink lashes wholesales Many netizens have asked such questions. In order to help everyone solve the problem, specially arranged how to trim the 25mm mink strip lashes wholesale solution hope to help everyone. More attentive friends will find that when we buy 25mm mink lashes strips, there are many shortcomings. For example, the phenomenon of uneven thickness, uneven color, and varying lengths. Because in case the length of the 25mm lashes strip is the same as the length of the eyelids, the 25mm eyelashes can easily fall off the corners of the eyes when the eyes are closed, so the eyelashes must be slightly trimmed first. Some MMs said that the fake eyelashes attached to my own eyelashes did not fit together. It looked very unnatural, and others could see that I had 25mm siberian mink lashes at a glance. And I feel that the false eyelashes are longer than my eyelashes and often stick to my eyes, which is very uncomfortable. First of all, when choosing 25mm lashes strip, you should choose false eyelashes with the same density, the same color, and a slightly longer length. 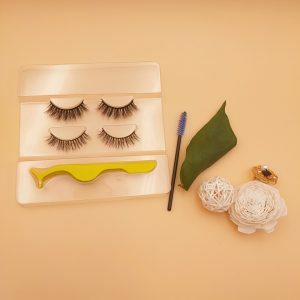 Then, before wearing it, cut off the one-third length of the eyelashes, so that the false eyelashes look more vivid and natural, and you can’t see the 25mm lashes strip. 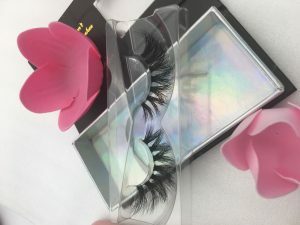 Because in case the length of the25mm lashes strip is the same as the length of the eyelids, the eyelashes can easily fall off the corners of the eyes when the eyes are closed, so the 25mm lashes strip must be slightly trimmed first. The method of trimming is simple. Most of the 25mm lashes strip are mountain type, and the length is staggered. Before use, please trim the false eyelashes according to the following methods: first cut off the nearest one from the corner of the eye by one-third of the length; then cut the last two false eyelashes in half; then cut the fourth fake One quarter of the eyelashes; the next fifth root becomes the first one, which is trimmed in order. The 25mm 3d mink lashes after this trimming will look natural. 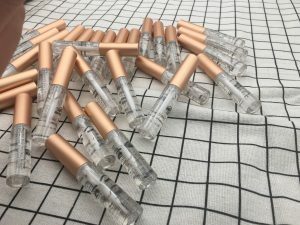 Next, before putting on the 25mm siberian mink lashes wholesales, first roll the original eyelashes with the curler, so that the eyelashes are the same as the false eyelashes, and then the 25mm siberian mink lashes wholesale are worn. The online Handmade Eyelashes shopping industry has developed with the emergence of a series of supporting facilities such as the Internet. Many Handmade Eyelashes entrepreneurs have joined the online market to open false eyelashes. Emerging markets bring opportunities as well as some challenges, summarizing the reasons for the failure of online 3d Siberian Mink Lashes shops. Although the threshold for online fake eyelashes is low, it does not mean that nothing will come to the Internet. 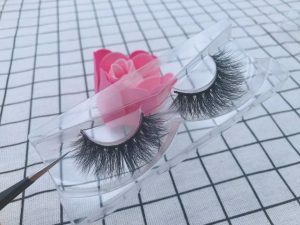 Many people rushed into the net, and the result was mostly lost in “no false eyelash business experience” and “completely do not understand the network.” In fact, many people may not be suitable for the online false eyelash business. If you want to open a store online, you can have a certain false eyelash business mind, have good communication skills, and can adapt to or master the fast changing network rhythm. In reality, we often hear friends say that they want to open a “small cosmetics store” and “small toy store”. 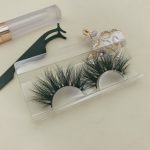 I have never heard that a friend thinks that everyone thinks that the virtual store space is infinite, and they want to work hard, resulting in 3D Mink Fur Eyelash buyers on your 3D Mink Fur Eyelash. The impression of the online store is blurred. “What sells” is a very powerful large-scale integrated shopping website. It is better to try to cut into the most specialized categories of 3D Mink Fur Eyelash. The online world is richer than you think, so it’s more important to quickly find a user’s style than to stick to your own style. Do not carry out most of the 3D Mink Fur Eyelash products that match your own taste. Doing business is still in line with the public’s aesthetic vision. 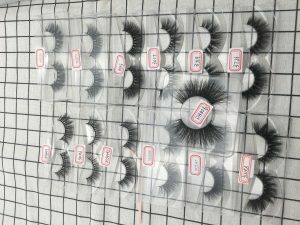 Online shop is a lot of hair, the huge group of false eyelashes buyers may not be interested in walking into your 3D Synthetic Fake Eyelashes shop. 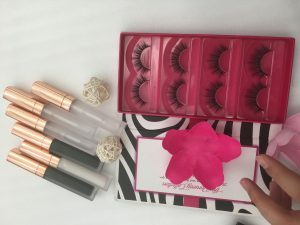 It is difficult to attract the attention of buyers without the distinctive false eyelash products, the attractive 3D Synthetic Fake Eyelashes and the unique promotion techniques. No performance because no one is angry → no one is angry, so spend money to buy fake eyelash ads, buy keywords → spend money or business is not good → online store closes. This is a common failure case. The reason why most false eyelash net stores do not perform well is business problems rather than traffic problems. Don’t worry about wasting advertising fees, it will be more effective to solve the business problem and then purchase the traffic. 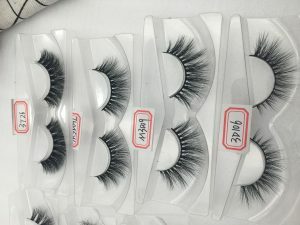 Due to the extremely low threshold of operating false eyelashes, most of the fake eyelash shop sellers are relatively young, often over-price competition due to the challenges of competitors, or a large inventory of serious inventory. Generally, such sellers have performance and no profit. In the annual financial settlement, the opportunity cost of business tax and personal salary are added, and losing money is very common. If you really want to develop your own business on the Internet, then it is best to have some background in your own strengths. For example, a seller with a pharmacist license sells health supplements or health foods more convincingly; if you are a trader and a physical store, the chances of success in an online store are greater; if you don’t have a special background, then It is best to have a lower cost purchase channel. In the operation of the website, it is too common to recognize the problem. It’s not necessarily that people are not good enough, and often too good team conflicts are even bigger. 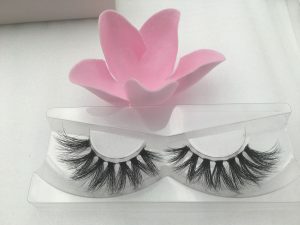 The important 3D faux mink eyelashesbusiness partners are self-reliant, the lack of technical autonomy of the fake eyelashes website, the internal consumption of business operators and technicians, etc., are common problems in the operation of online stores, and the false eyelashes shop is declining. Online shopping, now everyone can’t do without it, we can buy what we want without leaving home, and it is delivered to your door, then if some American false eyelashes customers want to open 3d lashes online, Is it necessary to understand the advantages of online 3D Real Mink Lashes? 1. Open a 3d lashes net shop only need a few hundred yuan in the district, and the starting capital of the sable fur eyelashestraditional shop is at least several thousand, more than tens of thousands, hundreds of thousands. 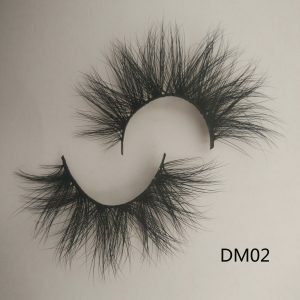 2, mink hair lashes online shop risk of no goods, you can purchase according to the amount of mink hair lashes orders, you can also purchase at any time, so the use of less capital, low risk. 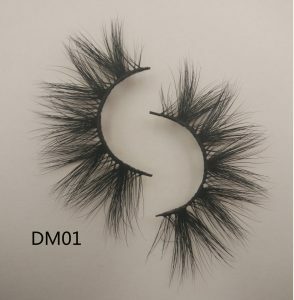 The traditional 3D mink hair lashes shop has more goods, afraid that 3D eyelashes can not be sold, and less purchases are worried that customers can not attractsynthetic eyelashes false eyelashes. 3, open 3D synthetic eyelashes online shop does not need to rent a facade, saving door face rental and care costs. 4. 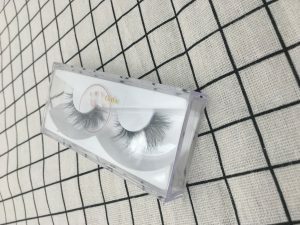 The operation of the false eyelash net shop is mainly carried out through the network, so there is no such thing as water and electricity charges like traditional shops. 5, the operation of the false eyelash net shop is 365 days a year, automatically open 24 hours a day. Open shop is not limited by time and place, no matter the day or night, no matter how windy or rainy, it is working for you faithfully. Therefore, the store owner can be part-time or full-time, do not have to stay in the store from time to time, false eyelash net shop does not need to guard from time to time, thus saving manpower investment and management costs. 1. Real Mink Lashes shop does not require strict registration and registration procedures. 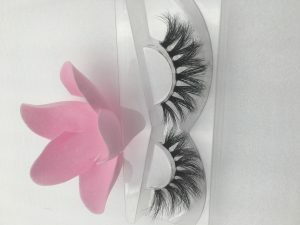 2.3D Mink Eyelashes customers can log in to our online store to purchase products at any time. 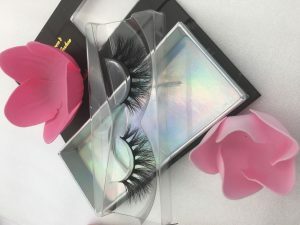 3, 3D Mink Eyelashes shop sales space is infinite, you can resell other fake eyelashes anytime, anywhere, or you can make your fake lash net shop as big as the department store, but no additional cost, can be described It is easy to move forward and backward, there is no burden. 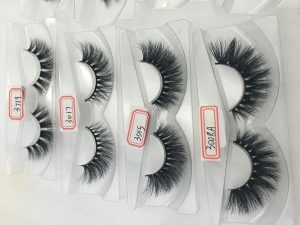 The traditional false eyelash shops are faced with changing the business area, goods and goods, funds, etc., and can not be said in a few words. 1. The customers of the 3D Mink Eyelashes net shop are netizens all over the country, even netizens all over the world. It is no exaggeration to say this, because online shopping is conducted on the Internet, as long as people who are online can become viewers of goods, or buyers. Therefore, it can be done, standing in Shanghang, taking a global 3D Mink Eyelashes business. 2, the meaning of the online store is to bring you more convenient life enjoyment. So there will be no time or place to drag the pace of the fake eyelashes. The online shop is like a neighbor to the customer. 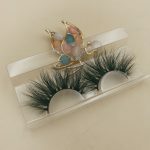 3, do not have to worry about 3D Mink Eyelashes shop no business, because this will increase with your store experience and knowledge, the amount of customers and wealth is absolutely proportional to growth. Traditional shops can only target a certain area, and the consumer population is very limited. This is an important factor to consider for owners who already have3D Mink Eyelashes shops or who are ready to shop. 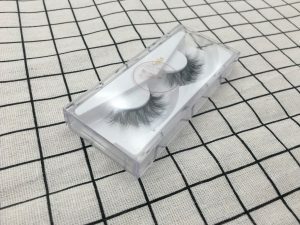 How to do 3D mink eye lashes business? Of course you need some tips. 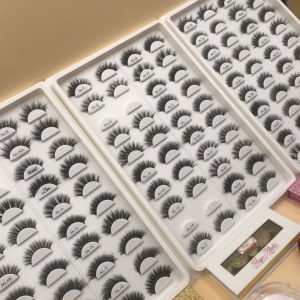 If you want to do a good job in the eyelash business, you have to consider some factors. Let’s learn to learn the experience of the beauty eyelashes shop that the predecessors summed up. Appropriate application is in the store where you have to open the store, then add some ideas about 3d eyelashes. Is it afraid that the beauty eyelashes business will not work well? 3D Eyelash business should strive to achieve branding and create well-known brands. Building a century-old famous store is the dream of the grand planners. 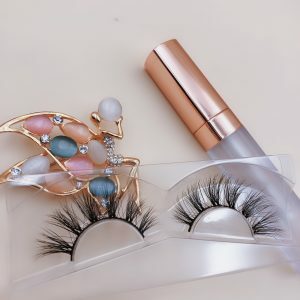 The industry’s leading representative of non-Chinese Qingdao “Misen Lashes” 3D eyelashes, and recently “Misen” Lashes will open up rumors in the US central city market, which is undoubtedly good news for improving the overall quality and image of the eyelashes industry. Of course, creating a fake eyelash brand name store is not a day’s work. 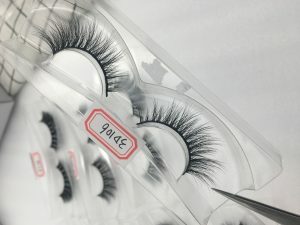 False eyelash operators must first carefully select partners and strictly control the purchase of goods; secondly, enhance the image of the store while strengthening the quality of employees and customer service; the third should be good at using the advantages of the community to promote franchise stores and loyal customers. The two-way interaction between the two; finally, the discretionary advertising investment, to expand the visibility and reputation of the fake eyelash franchise stores. false eyelashes shop should strive to achieve full-time as the name of the franchise store, the business should be in the “special” word, on the one hand with full-time beauty consultation, full-time difficult diagnosis, full-time skin care to form a differentiated operation Features, to counter the impact of the supermarket hypermarket; on the other hand, consider the formation of a refined category of online stores. 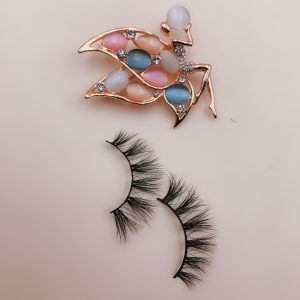 false eyelashes shop should strive to achieve chain-based long-term perspective, cost superiority will be one of the main means to establish competitive advantage. Therefore, the implementation of chain operation not only can unify the image of the store, help to form and enhance its own brand, but also significantly reduce the cost of sales through large-scale procurement, and rely on the extensive distribution of resources, a large number of resources to win the market The support thus rapidly expands the comprehensive strength of the fake eyelash franchise store.